Board (Kit) Assembly, Rev C - If you purchased one of the kits, or you're building the project "on your own", you'll need these assembly instructions. Hi-res TIFF files are available, if you want to print these for reference. Board (Kit) Assembly, Rev A - The assembly steps for the original rev A board are still available, though new construction should use the improved rev C design. Library Functions - These are the functions available from the FAT32 and memory manager code, beginning with firmware rev 0.6.0. These functions are used to access files and allocate/free memory from the SIMM in 4k blocks. Memory Map - How the 8051's 64k memory space is used, and a complete list of registers to access the DRAM controller, DMA controllers, IDE devices, and other hardware features. Data Sheets - Links to the manufacturer's data sheets for each of the chips on the board, and a brief explaination of what each chip does. LCD Backlight Conversion Project (external site), Dean Woodyatt's conversion to add a EL backlight to the LCD. These are offered by Dean Woodyatt, not PJRC. Click on The Instructions on Dean's site for detailed step-by-step instructions for adding a backlight. Power Supply for 3.5 inch drive from 12 volts (image), This surplus power supply isn't really rated to run a 3.5 inch drive, but it was able to run a drive when I tested it (looks like the +12 volt output is under-rated judging from parts on the board). They are available from a surplus electronics shop. See info on the picture. IR Controller, Control the MP3 Player From a IR Remote. Contributed by Todd Elliot, this page describes a simple learning IR receiver that allows one of several IR remotes to control the MP3 player board. It receives the IR signal and sends one of the MP3 player's commands to the serial port. Schematic Diagram, Rev C - Schematic diagrams for the MP3 player board. This is incomplete, but perhaps the partial schematic will assist those who need to troubleshoot their board. The Rev A Schematic is also still on line. FPGA Schematic - The complete schematic set for the XCS10XL FPGA chip. Xilinx Foundation 3.1i (Aldec schematic) is required. GIF image files are available for viewing if you do not have the xilinx software. Printed Circuit Board Layout, Rev C - Here are high resolution images of the circuit board layout artwork, for any brave souls who're interested in etching their own board. The original Rev A layout is still available. LCD Fonts(138k) - Fonts planned for the LCD display board. The board will allow fonts to be downloaded, for special needs, but these fonts will be included in the display's non-volatile memory, and will probably be used for most features. LCD Communication Protocol - The planned communication protocol to be used with the display board. 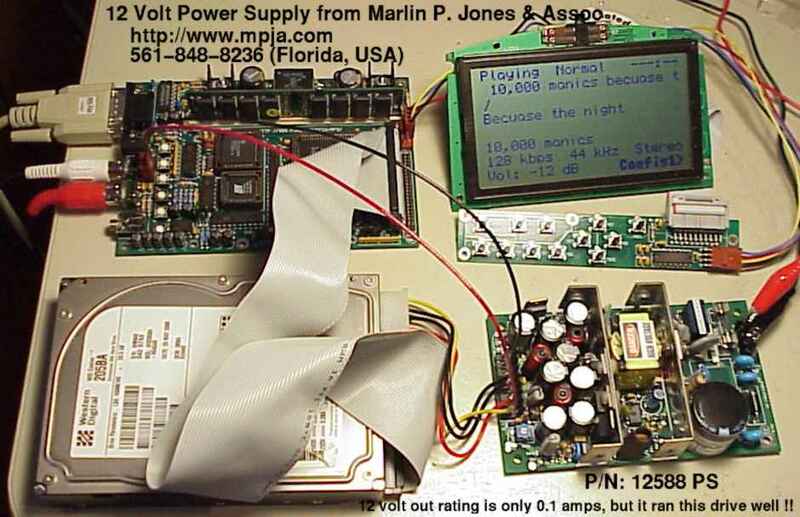 This page also has information about the JW-002 display board. Pushbutton Adaptor Board - Detailed design information for the small board with 12 pushbuttons that connects the JW-002 LCD display to the MP3 player. How To Use The STA013 MP3 Decoder Chip - This page provides an explaintion of how to use the STA013 MP3 decoder chip in a new design. It's intended primarily for those designing their own player, but it does provide quite a bit of background information about the STA013 in a format that's easier to understand than ST's datasheet. Using DRAM and 72 pin SIMMs - An archive of a discussion with details about the DRAM controller and how DRAM works. This material contains some minor working errors and is in need of some clean up, but maybe it's better than nothing. How to access DRAM and how the DRAM controller works. MP3 Player, Technical Documentation, Paul Stoffregen.